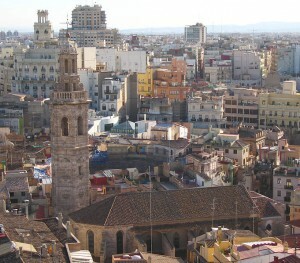 The city of Valencia is the third-largest city in Spain. 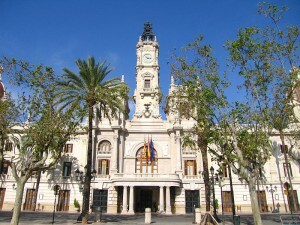 The city is spread across the Mediterranean coast south of Barcelona. 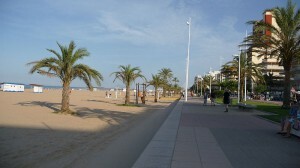 This geographical privilege affords Valencia with beautiful and stunning beaches and coastal fronts and a good climate. 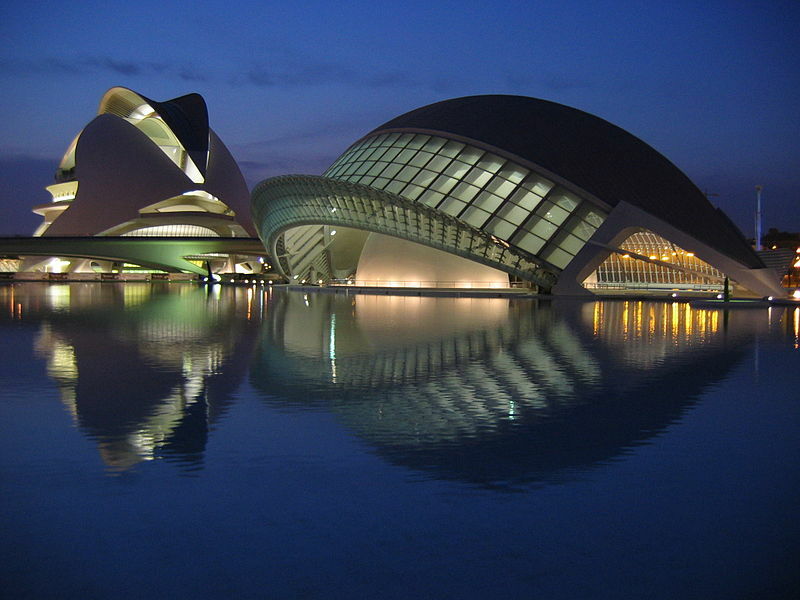 Aside from the pristine beaches, Valencia has everything that you can ask for a holiday destination. 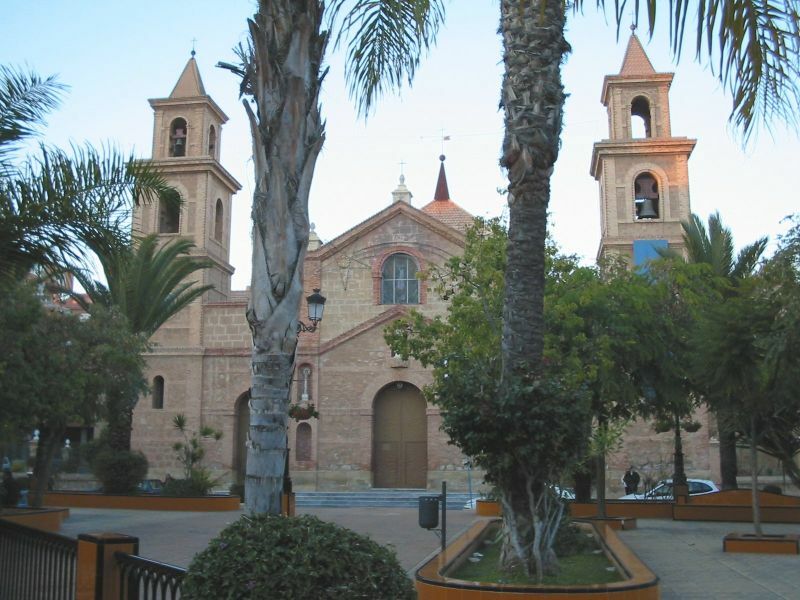 It has a rustic countryside lined with rugged mountains and populated by orange groves. And on the urban and modern side, the city is proud to showcase its urban landscape dotted by futuristic architecture. 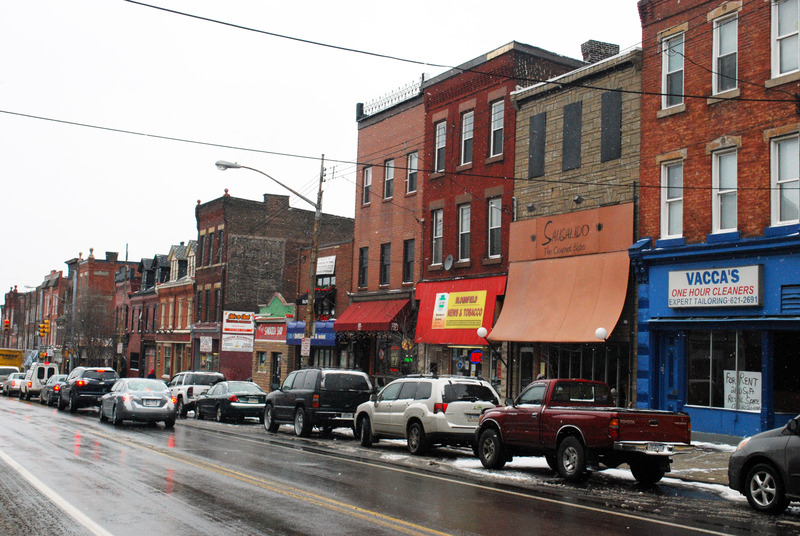 And it also has a colorful and bustling old town to contrast the modernity of the city. 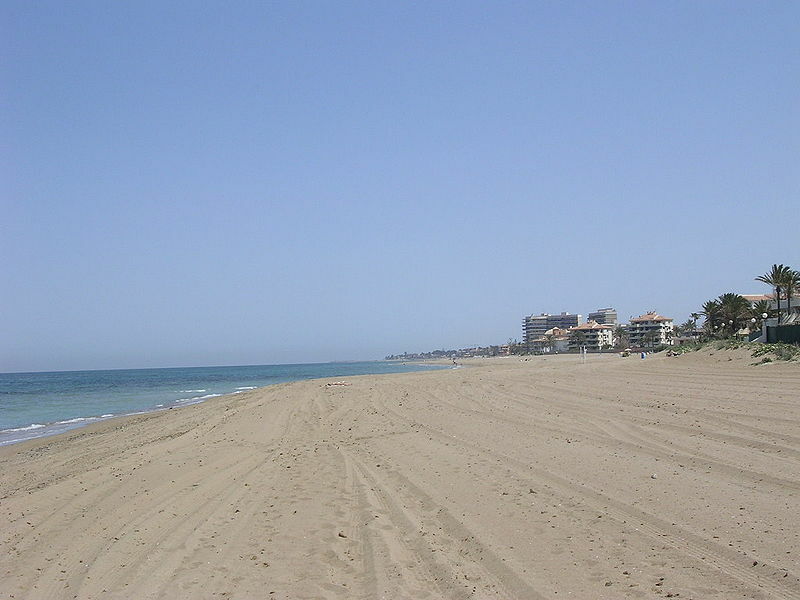 Since Valencia is on the Mediterranean coast, the city is blessed with beautiful beaches and a nice climate conducive for sunbathing and other beach activities. If you’re tired of the same old beaches, you can try hot springs. 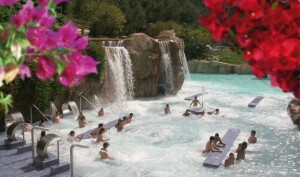 The hot spring is only 90km north of Valencia. 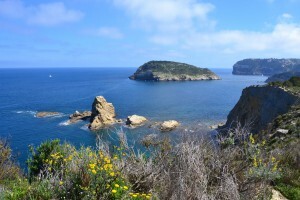 This spot is still unknown to may tourists and travelers, so the place is still pristine and unspoiled. 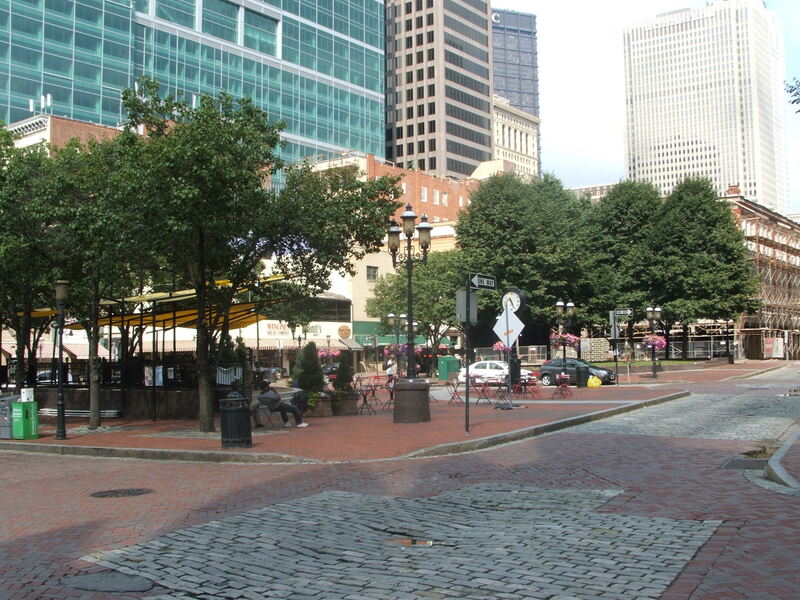 This is perfect if you want to avoid crowds of eager tourists. Or if you are adventurous, you can climb the cliff over the lagoon and jump directly into the bubbling hot spring below. Fallas is a local festivity for their patron Saint, Saint Joseph the carpenter. 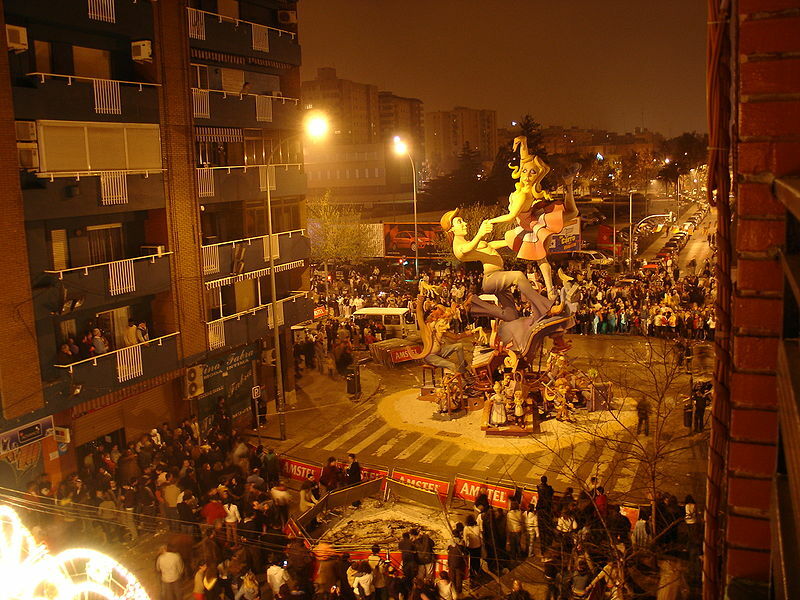 Fallas were the combustible materials burnt during the eve of the festivity. In this festival, you can see huge paper mache models built by the locals, fireworks popping everywhere and lots of dancing and parades on the streets. If you love shopping, you can visit Valencia’s Central Market, which is located at the Plaza del Mercado, opposite the Lonja de la Seda (Silk Exchange). This market is one of the oldest in Europe and has an outstanding architecture. You can buy anything here from different produce to souvenirs. 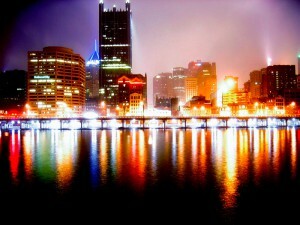 This is the famous and most beautiful landmark of the city. 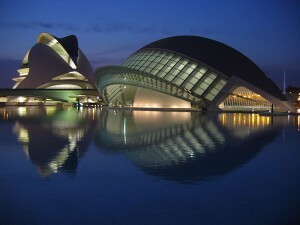 It’s a mega complex designed by Valencia’s own architect, Santiago Calatrava. This architectural wonder has an aquarium, which is the biggest in Europe, Science Museum, planetarium and an IMAX laser cinema. 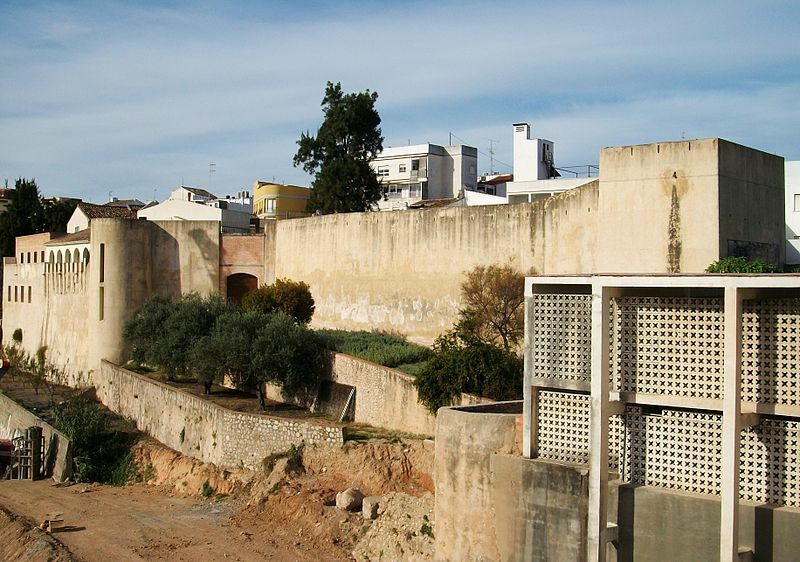 Torres de Quart is a magnificent fortress which is part of the old fortification of the city. The walls here bore the scars of the Napoleon’s canon balls. Torres de Serranos is one of Valencia’s famous landmarks. It is an ancient gateway to the city constructed in Gothic style and it is the largest in Europe. This magnificent complex is a UNESCO World Heritage site. 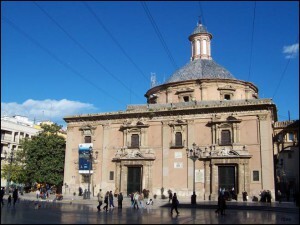 It was constructed during the 15th century when Valencia was at the summit of its golden age. This is a Gothic-style cathedral constructed between the 13th and 15th century. The Cathedral has in its possession some examples of rare Quattrocento paintings. Are you sat reading this in the UK and looking out of the window at the rain dripping down the windows? Gloomy huh? What about a bit of sun to cheer you up? It’s a rare thing to see that shiny orange hot thing in the UK, but I know a place where it’s abundant all year year round, in fact, I know somewhere that if you are looking for a holiday in the sun, you will love this place. Gandia beach. No, it’s nothing to do with Ghandi, the Indian fella (! 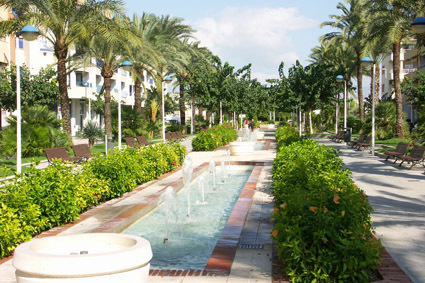 ), it’s a lovely, small resort on the northern Costa Blanca, on Spain’s east coast and its services by both Alicante and Valencia airports, with regular flights from most Uk destinations. 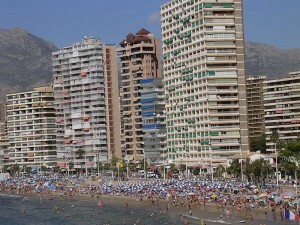 The town is about an hours drive north from the famous resort of Benidorm, but is much further away in terms of class, style, and authenticity, attracting a discerning holidaymaker, and the area is home to several nationalities of expats such as British, Irish, French, German, Norwegian and Dutch, so a real international flavour, but retaining that “real” Spain feel. 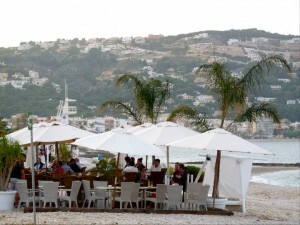 If you need refreshment, there are a few bars and cafes dotted around that are run by expats, so if you miss your favourite food, it is here, but not to the extent of the more traditional resorts. 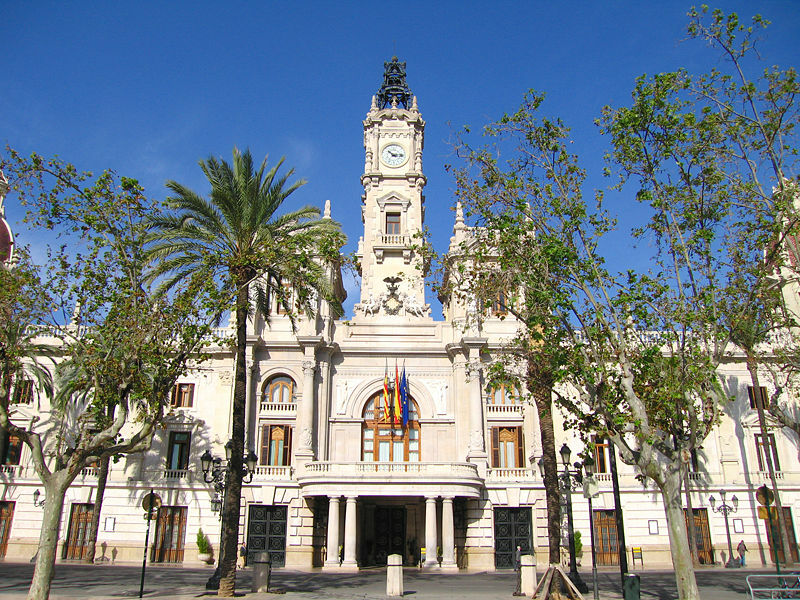 Gandia is very traditional and low-key and does NOT attract the lager louts or beetroot-red “ee love, fish and chips twice mate” type of crowd, clad in their Primark Union jack shorts, tattoos, and only missing one more thing, the pit bull, because they couldn’t get it past customs. Gandia is low key and that’s why people come here, that’s what they like. 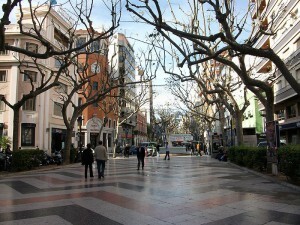 Gandia is split into two main areas, the town, and the beach. The town is a great place to look around and get a real feel for the “real” spain, and see everyday folk going about their business. This gives you a feel for what it must be like to live here. In addition, there are several local fiestas worth watching, in fact as I write this, there is a (Very noisy) moors and Christians festival going on as we speak! 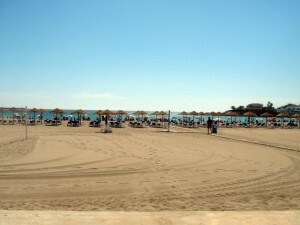 A short drive brings you to Gandia beach (“Playa Gandia”) and you will find a lovely wide, sandy beach which goes on for about 2 miles, and is lined with low rise buildings and quaint little bars and restaurants, meaning that, once again comparing to Benidorm, this is as far removed as you can get from a tacky tourist spot, and walking around here you get a feeling of calm, great for a peaceful holiday away from theme parks, screaming kids and the ubiquitous sunglasses sellers who pester people in the resorts down south. As I said above, you will NOT find KFC, fish n chips or a decent Cornish pasty, NOTE: YOU ARE IN SPAIN! !….and therefore there are plenty of opportunities to dine in a variety of restaurants during your stay, and can sample any type of dish you care to imagine, although most of it is Spanish food, and if you are on vacation here, you would be best advised to actually try it, you never know, you might like it! 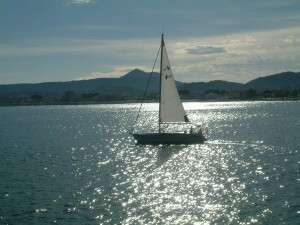 There are also boat trips available, to soak up even more of the Spanish sun, and trips can be taken to Denia, Jávea, Calpe and Altea, however if you have time on your hands, it is actually possible to take a boat from nearby Denia, to Ibiza, if you really feel you can’t spend the week here without going wild and partying till you drop! 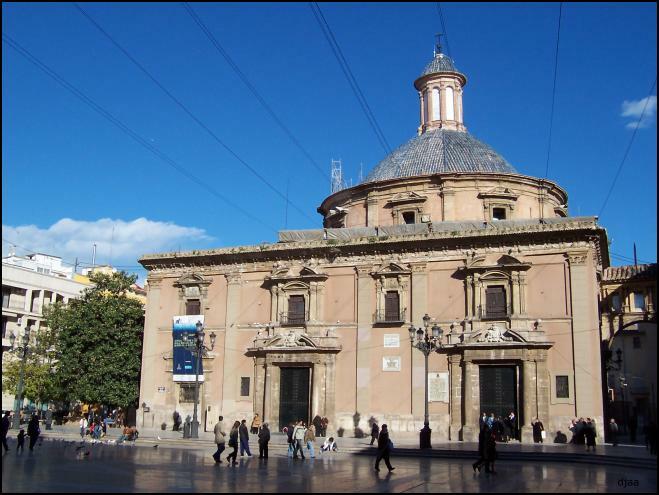 There are lots of day trips to be taken to nearby towns, or an hour and half up the motorways, you can visit the wonderful cvity of Valencia which has museums, galleries, attractions and more bars and restaurants than you can shake a stick at! 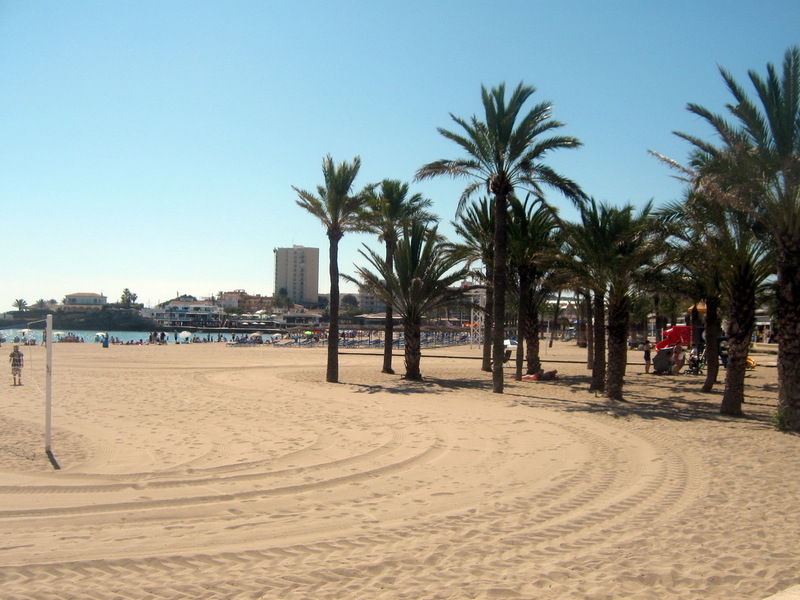 All in all, for a peaceful, authentic and “real” holiday in the sun, check out Gandia beach this year, I think you will enjoy it! 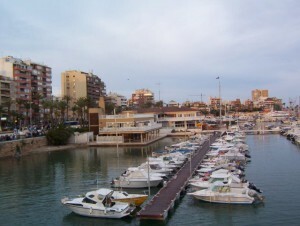 The Marina Alta area of Spain stretches along the coast of the Mediterranean from Denia in the North to Calpe further south. Along the Marina Alta route you´ll find plenty of charming villages and busy sea side beach resorts, that all make for excellent holiday destinations with each their special characteristics and features. 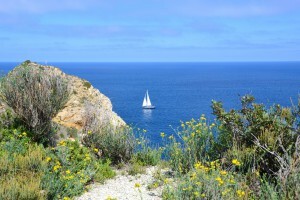 Using the Marina Alta area as the base for a sailing vacation on the Mediterranean adds an entirely new dimension however. 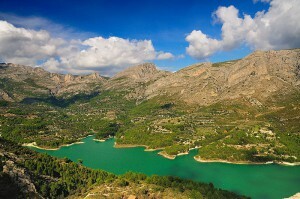 The glorious mountainous coastline, the hidden little coves that are only accessible from sea and tiny uninhabited islands are spread all along the Costa Blanca coast. It is possible to hire boats of largely all sizes, types and levels however obviously you still need to book your spaces in the marinas you wish to visit along the way. Alternatively, of course you can make the journey to the Mediterranean yourself and the marinas will cater for your needs during the journey. 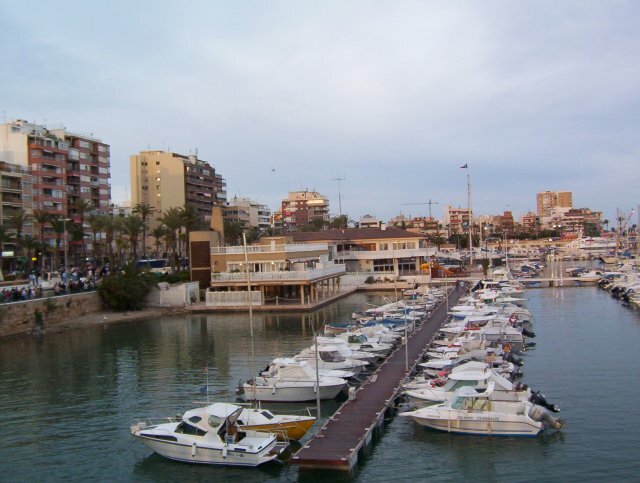 The marina in Denia makes for a rather large, luxurious and well equipped starting point of a Marina Alta holiday at sea in the Mediterranean. The Americas Cup used the Denia marina facilities, several cruise ships enter the picturesque town every year and the marina area has every pleasant facility a sailor about to head to sea might need (read more about holidays in Denia). 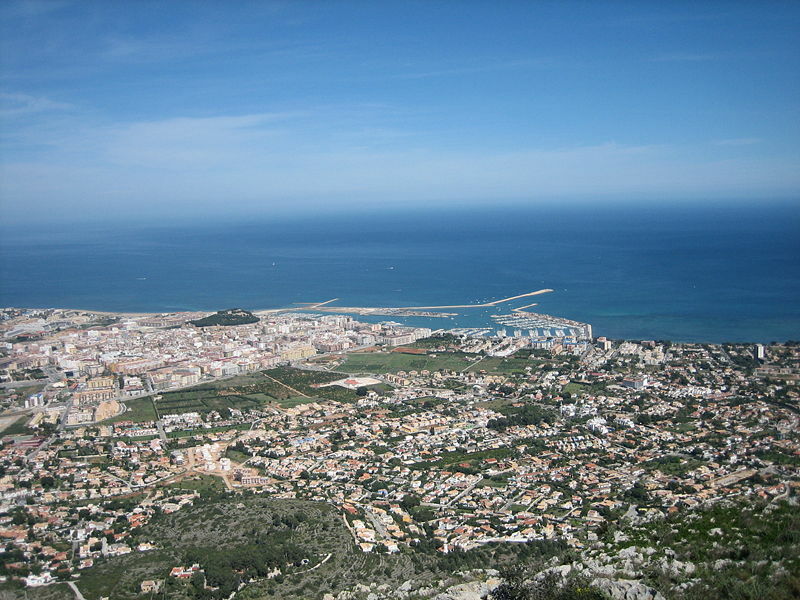 Heading south from Denia you pass the Cabo De San Antoni that stretches out from the iconic mount Montgo. 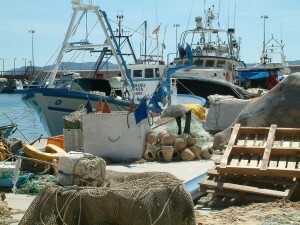 Behind the cape you reach the Jávea port with its relatively small but lively marina. The Jávea port features a vibrant latin vibe with promenades along the seafront, plenty of excellent seafood restaurants and narrow little shopping streets to explore. Spending a few days in Jávea will allow you to further investigate the traditional village life in the historic center, lay on the sandy Arenal beach in the tourist part of town to catch some sun (read more about Javea beaches) or time your sailing holiday visit in Jávea to coincide with one of the exciting authentic Spanish fiestas such as Fogueras De San Juan, Moors and Christians or Jesus De Nazareth. 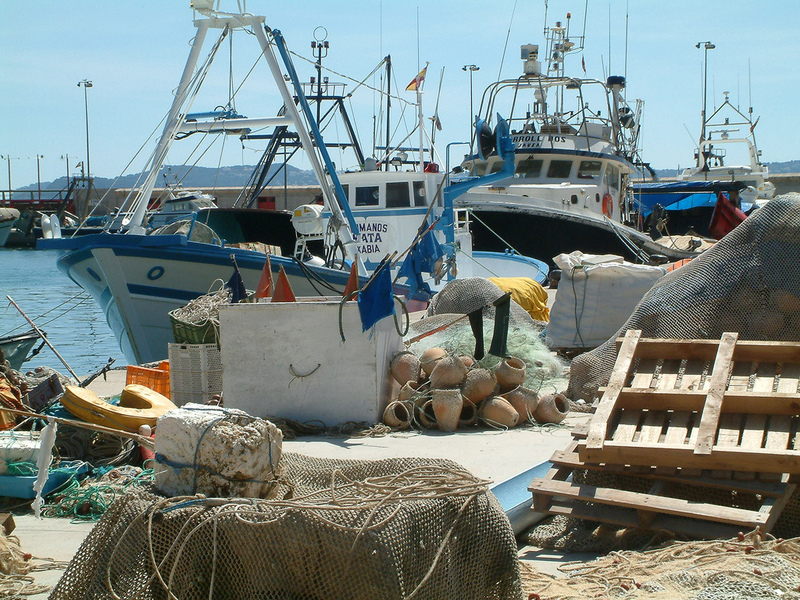 The Jávea port features an active little fleet of fishermen’s boats and trawlers attached to the marina lending extra life and activity to the area – and ensuring amazingly fresh dishes at the local sea food restaurants. Heading further south from Jávea you have the opportunity to enjoy amazing scenery at places like Portitxol island and cove, the Cabo De La Nao and Granadella cove. 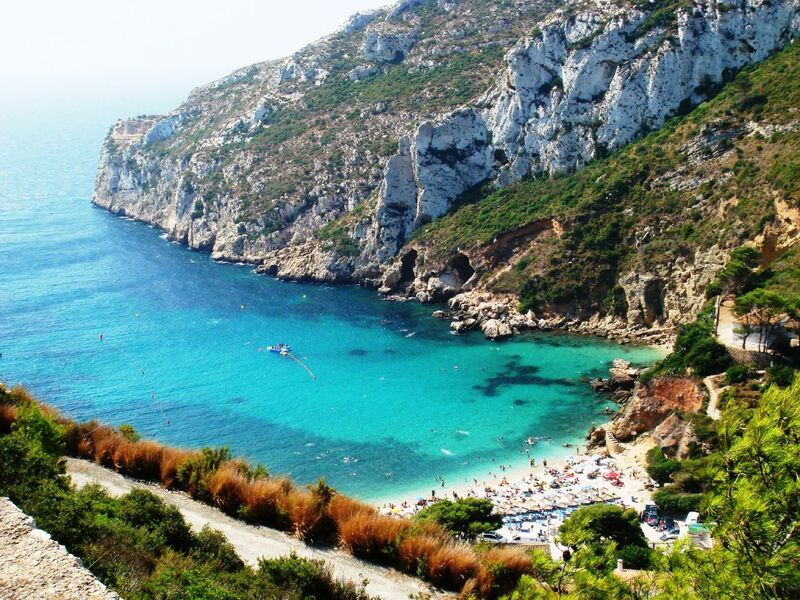 Plenty of these coves provide sheltered waters that are ideal for letting the anchor sink and have an enjoyable break in the stunning nature of the Northern Costa Blanca. The option is there to follow the coastline further south past El Moraig, Benitatchell and Moraira to finally land at the tourist resort in Calpe. The town of Calpe is a rather busy little seaside town, particularly during the hot summer months, but the surrounding nature still has unique and unspoilt features to behold and enjoy. Sailing the Marina Alta part of the Mediterranean sea might just prove to be the perfect holiday in Spain for you and your family. 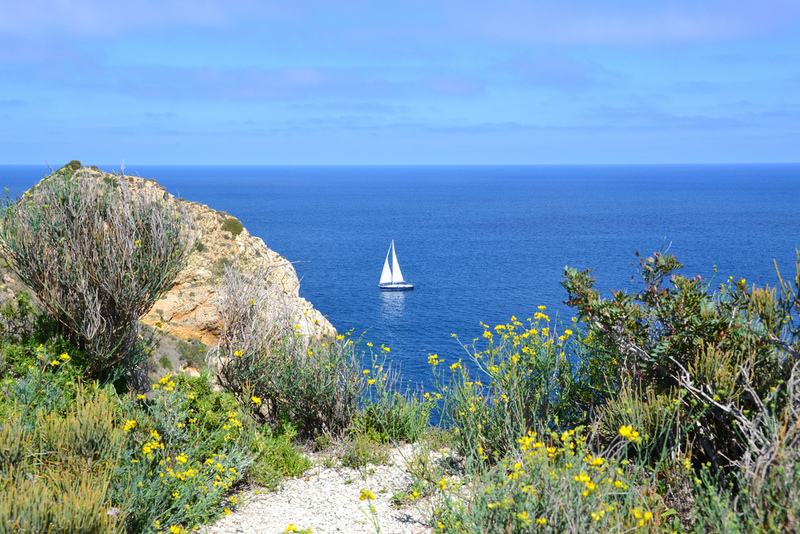 The nature simply has to be experienced in all its overwhelming beauty, the sea is relatively peaceful outside of the stormy seasons and the marinas are all welcoming visiting sailors with open arms and plenty of charm! During the cold Danish winters the coastal village of Løkken is a sleepy little town without much going on. 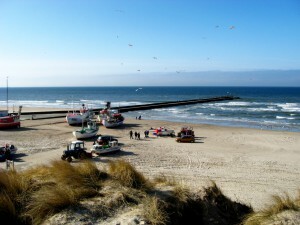 In the summer time however it springs to life as a magnet for beach happy Scandinavians and tourists from further afar. 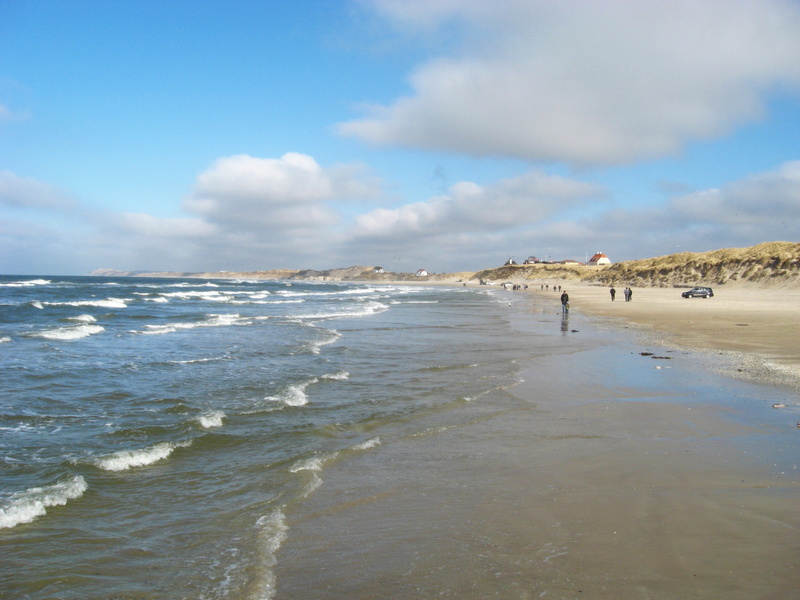 The main feature of Løkken is a stunning sand beach that stretches for kilometers just beyond the dunes from the picturesque little village in Northern Jutland of Denmark. 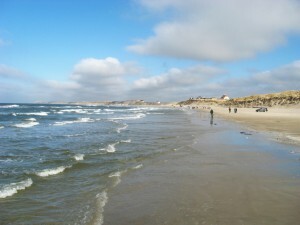 The beaches in Denmark are public and free to visit. Pack your picnic bag and head down for a day of joy in the sand. 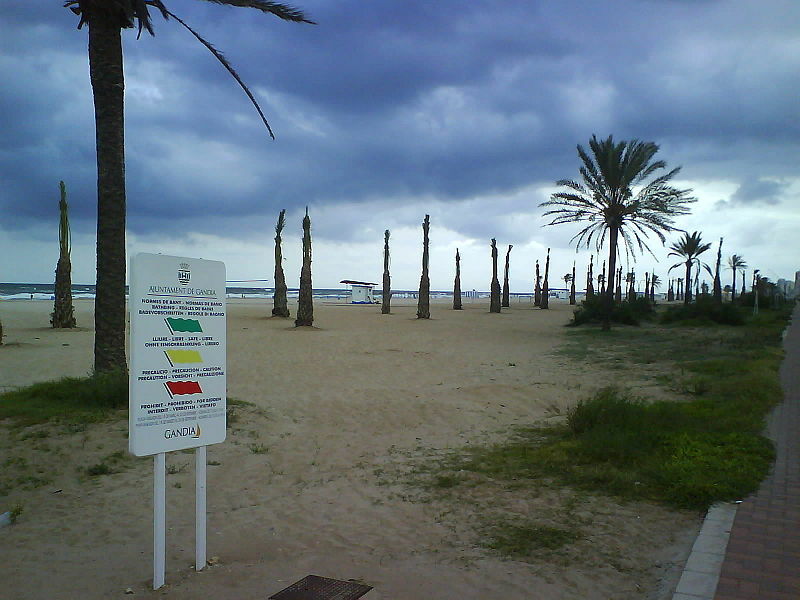 The beaches are kept at a high standard in terms of cleanliness and strict regulations hinders tacky shops or buildings from shooting up on the beach areas. All those types of things stay beyond the dunes in the resorts, thus leaving the beaches pleasantly clean and unspoilt. 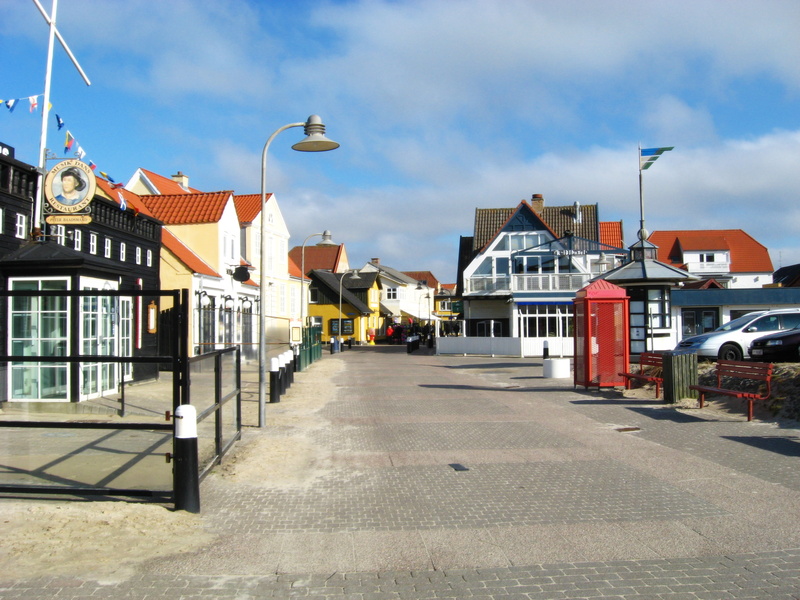 Løkken itself is a charming little town in the summer with a very active night life featuring several discotheques, night clubs and bars. During certain years Løkken has rightly obtained a bit of a reputation for being too much of a youth party location in the summers with camp-site events involving little else than alcohol and disco vibes. More recently though a nice balance has been found making it a pleasant and happening location for all ages. Danish summers can be temperamental weather wise, but luckily the Løkken beach resort is within easy driving distance of the interesting city of Aalborg, that has plenty of activities to offer for days away from the beaches. 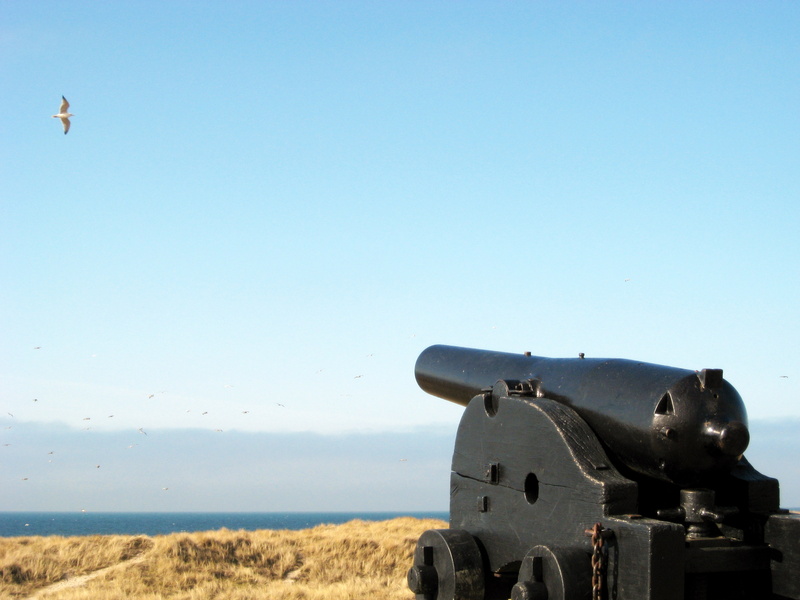 Another option is a little daytrip up to the Northern tip of Jutland, Skagen. Famous for its ancient tiny fishermans houses, painters such as Holger Drachmann, Krøyer and not least, Anna and Michael Ancher. On top of the sea food restaurants, the rich cultural inputs and the amazing old buildings in Skagen, you can walk out onto the exact tip of the European peninsula and stand there with one foot in each ocean, exactly where they meat. Your life in the city is far from boring. However, at times you are too stressed out with the same sight every day that you want to drive to the airport, get a ticket and board a plane that’s going somewhere else where there’s a definitely different view. And Spain is absolutely one great destination you should consider visiting. This European country has been a top destination for tourists coming from all corners of the world for its traditional architectural designs, wonderful climate, and amazing places to see. 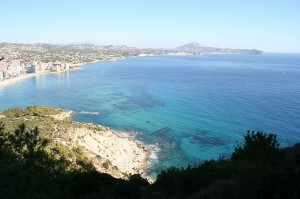 One of them is the Costa Blanca Region, the “White Coast” of Europe. And if you are looking for a fun-filled adventure in this place, you shouldn’t miss out on Costa Blanca theme parks and nature parks. Palm orchards are one of the relaxing greens of the earth. Their shades can bring out the good vibes in you. Huerta del Cura Park is the marvelous garden where these trees found their roots. By just strolling around the park can be fairly calming. 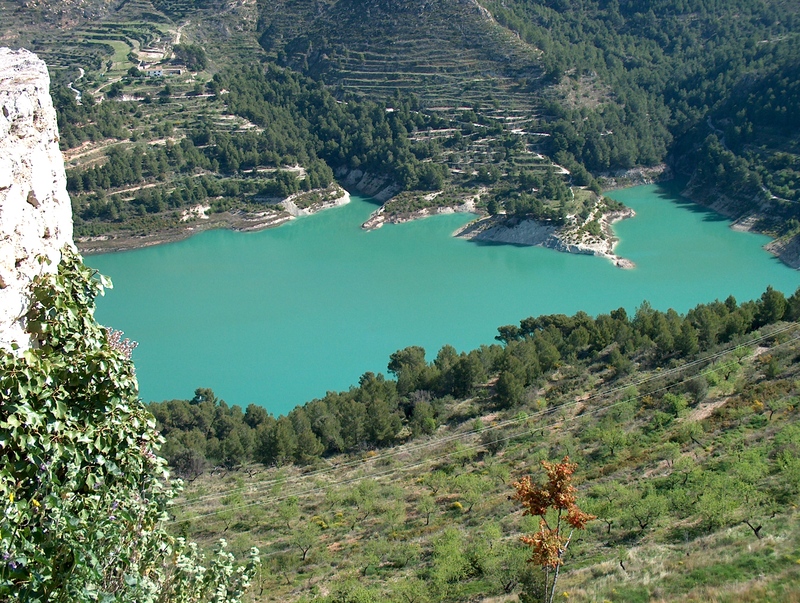 If you love the heights, panoramic views and go a good hiking distance, the Montgo Natural Park in the town of Javea awaits your excited steps. 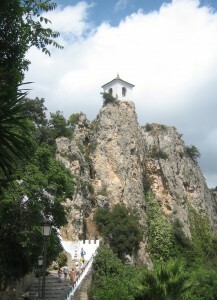 This gathering limestone ascends above the towns of Denia and Javea. The summit will make you realize how small you are compared to the world, because the scene you are about to see when you get to the top is the boundless view of Javea and beyond other towns, including Spain’s famous island of Ibiza. An additional bonus of the park is the chance to see unique species of foxes, weasels, rabbits and other animals. 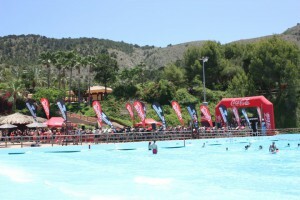 Mundomar Aquatic Park is for the water lovers. Sea-creatures are the main characters of the different aquatic shows for your entertainment. 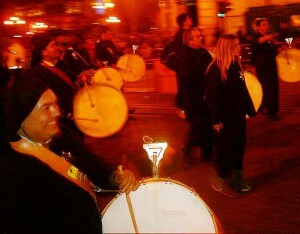 But they take the backstage if you’re more of an adventurous traveler. The park is also place of slides, bridges, wall climbing, swings, rappelling, and ramps among others. If you think nature is not so much of a fun vacation to you at this time of the year, Costa Blanca theme parks that are filled with adrenaline rushing rides will worth your every dime. 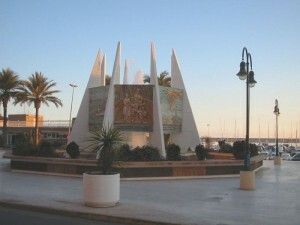 Torrevieja Aquopolis Water Park is the right blend of sun and water. 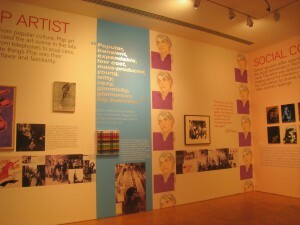 Their attractions are divided into three categories: children, moderate, and high emotion. Warning: If your heart’s weak, don’t get your blood rushing into the high emotion rides like the Kamikazee or Speed slides. Blackhole is yet another scary water ride as you plunge into darkness aboard a mere float. 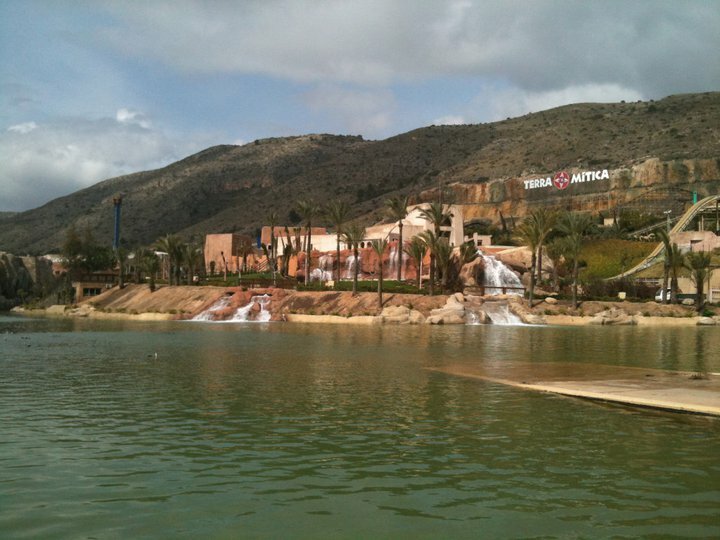 Terra Mitica Theme Park is perhaps the most celebrated attraction in the whole of Costa Blanca because of its ancient-civilization-inspired landscape and designs. 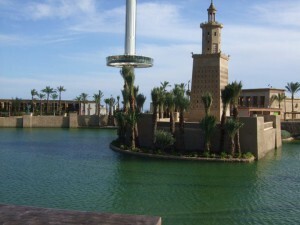 Based fro the five empires – Greece, Rome, Iberia, Egypt and Mediterranean Islands—Terra Mitica is more than just roller coasters. 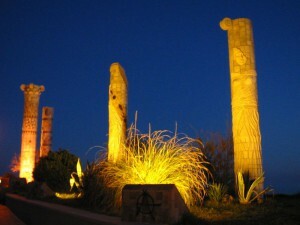 You will be taken centuries back with the shows that tell the legends and myths of the ancient world. 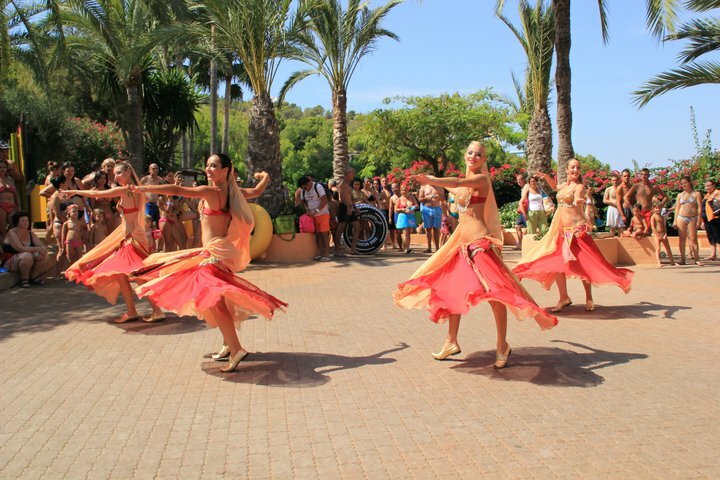 Read more about the Costa Blanca Terra Mitica here. 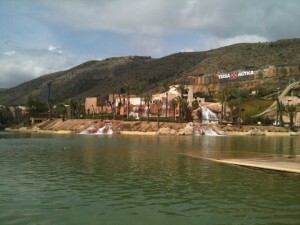 It can be expensive to take your entire family to the theme parks of the Costa Blanca. However, most of them feature discount schemes and vouchers to be found for rebates on entry or rides. 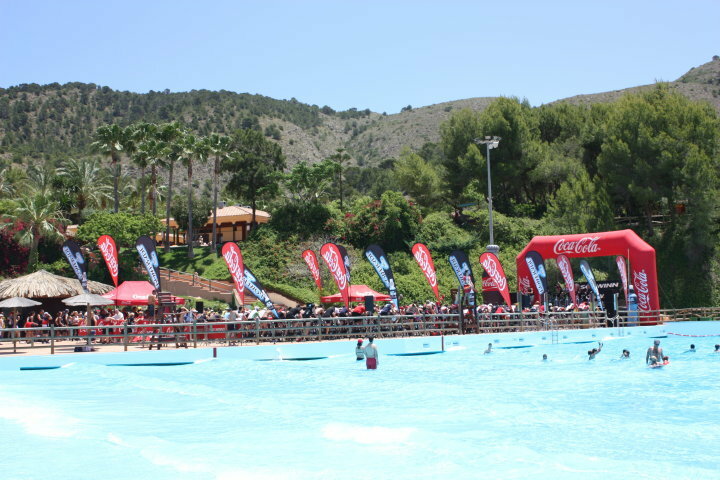 For instance, Aqualandia and Terra Mitica have several discount vouchers available that you can pick up at Costa Blanca McDonalds restaurants, BP petrol stations and several other places. Be on the lookout or ask your travel agent. Summer has arrived in Europe but the spoils are unevenly split. 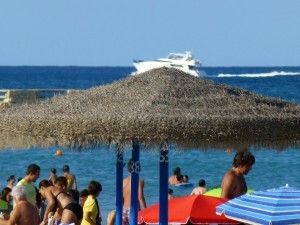 Northern Europe and the UK are struggling through heavy rain, floods and cold cloudy days whilst life by the Mediterranean is lived by the beaches in over 30degrees with night time temperatures even creeping above 25. But where to take your family for a perfect holiday on the beach? The options are many and the beaches are sandy! In general the Spanish beaches are extremely pleasant, safe and featuring all the facilities your family might need. There are exceptions of course, but generally the bigger the resort around the beach, the more facilities and activities there will be. 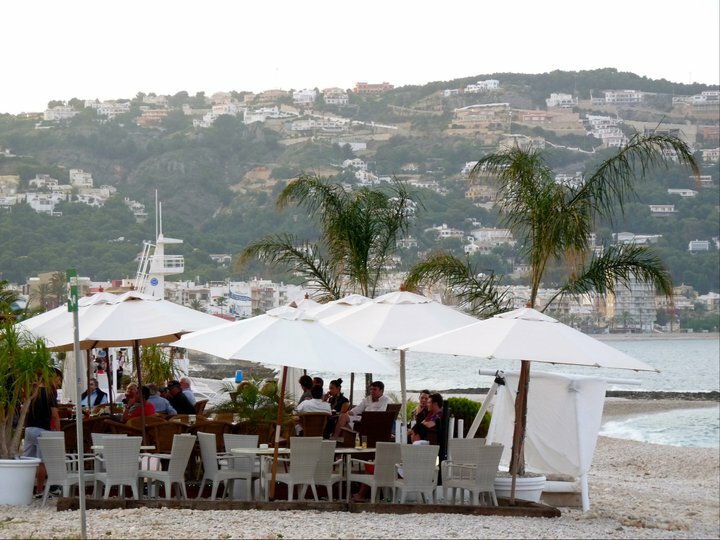 Obviously, a bigger resort comes with more crowded beaches, a bigger potential for petty theft types of crimes and a noisy night life as well, whereas some of the cosy smaller resorts might be more relaxing surroundings for a family break in Spain. 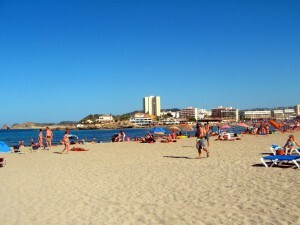 The first step before booking your dream holidays in Spain is to consider your preferences for a second. 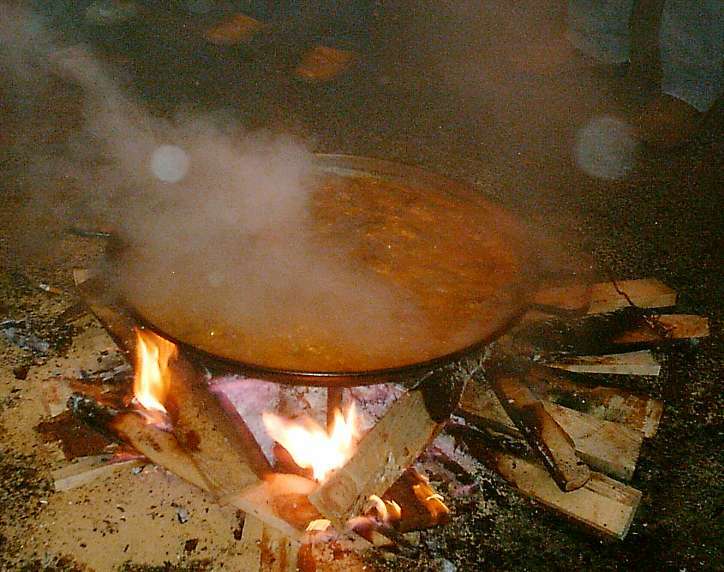 Do you want to go out for wild fiestas and parties all night or do you prefer a calm and quiet holiday with orderly family meals in pleasant restaurants without disturbances from loud discos? 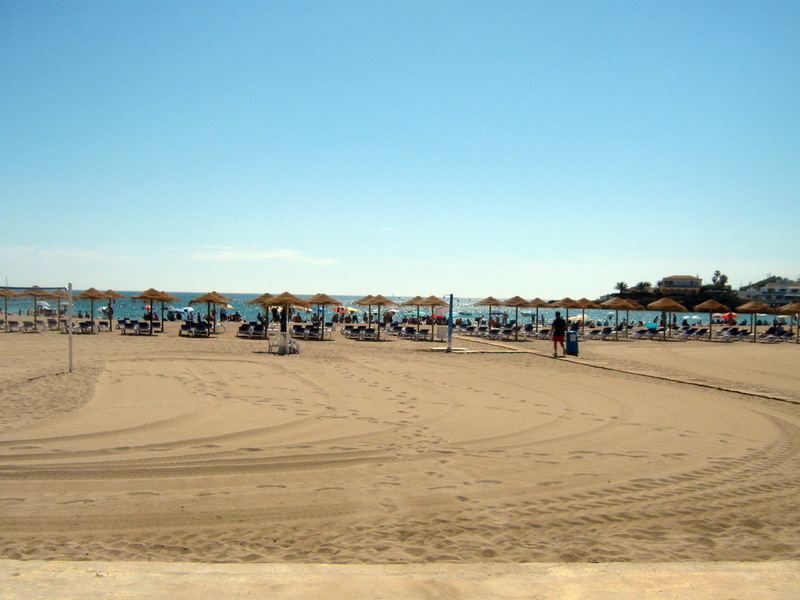 Are you bringing young toddlers that need activities and particularly safe beaches to have a nice stay in Spain? 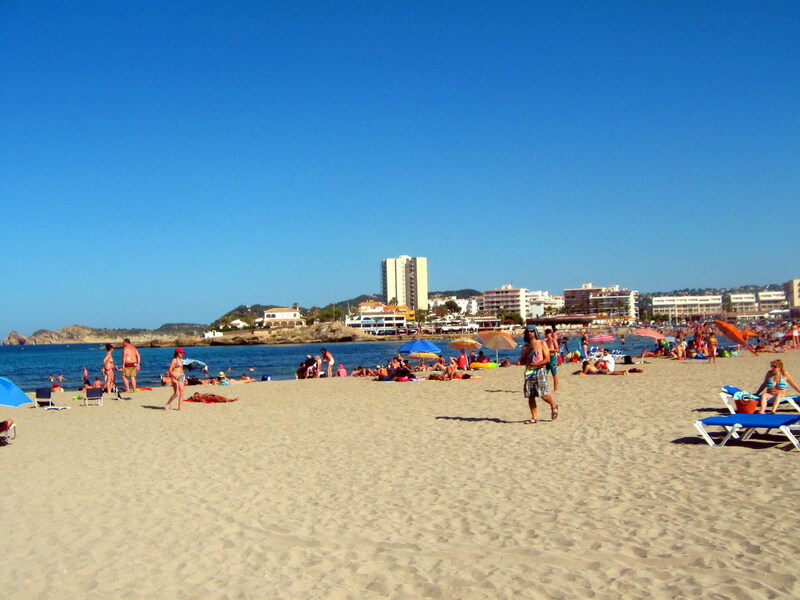 Do you love or hate big crowded beaches with thousands of other people swimming and sunbathing? 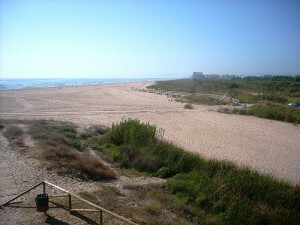 The answers will determine the best beach in Spain to be heading for! The biggest beach resort on the Costa Blanca is Benidorm. 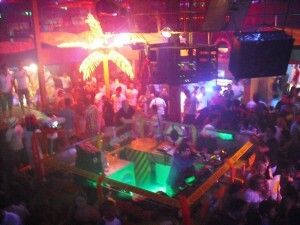 Famous for huge inviting sandy beaches but also for the influx of travelers on cheap package deals primarily interested in the crazy night life, cheap bars and all night discos. 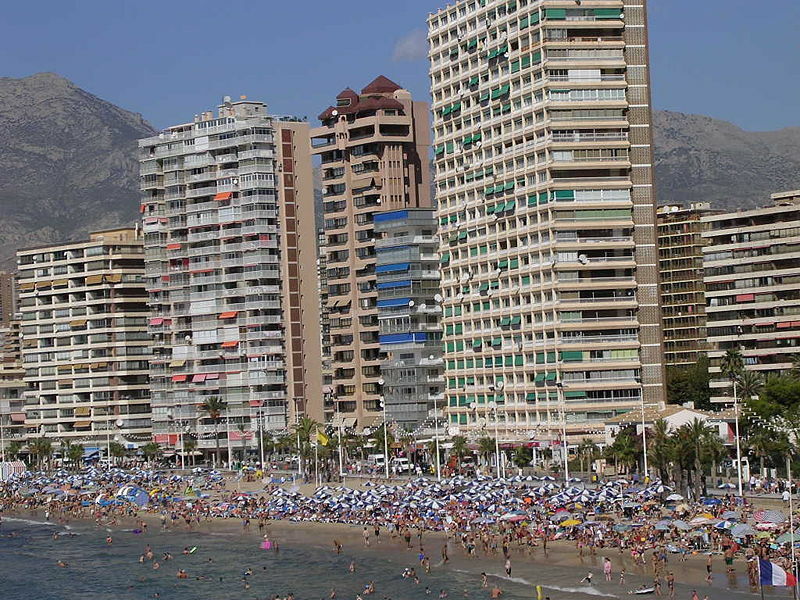 Benidorm has everything the heart might desire and is in effect a huge multicultural party town built round the white sandy beaches. 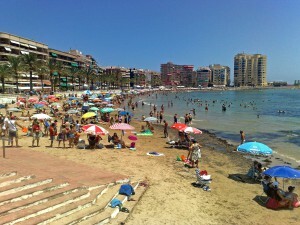 If you are a gang of mates wanting a fun week away from the rain, Benidorm is perfect! 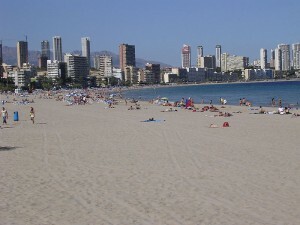 However, if your preference is a more relaxing holiday with your kids, Benidorm might not be the best option as the wild parties tend to spill out into the streets and onto the beaches, the sheer size of the place makes it less comfortable with small kids and the volume of tourists tend to attract unpleasant criminal elements too. 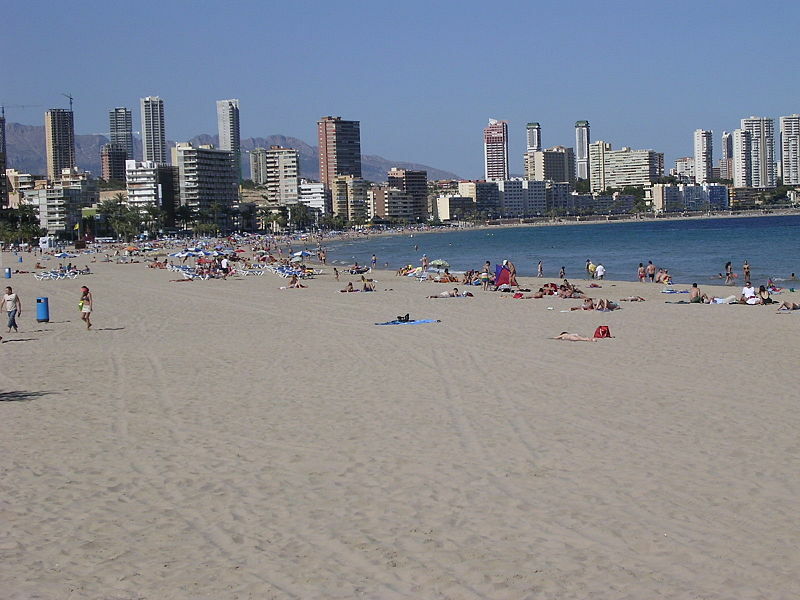 However, if you want some of the best beaches in Europe combined with fun nights out and endless entertainment, there is no better place than Benidorm! 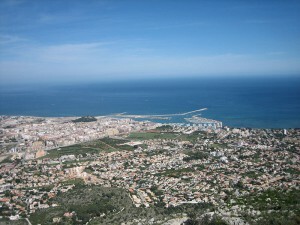 Javea is perhaps the ideal location for a holiday with kids in Spain. 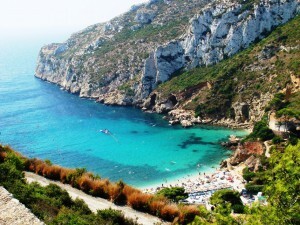 The shallow bay and safe Blue Flag beaches of Jávea are white and sandy with plenty of activities in the surrounding areas to keep the entire family amused and entertained. 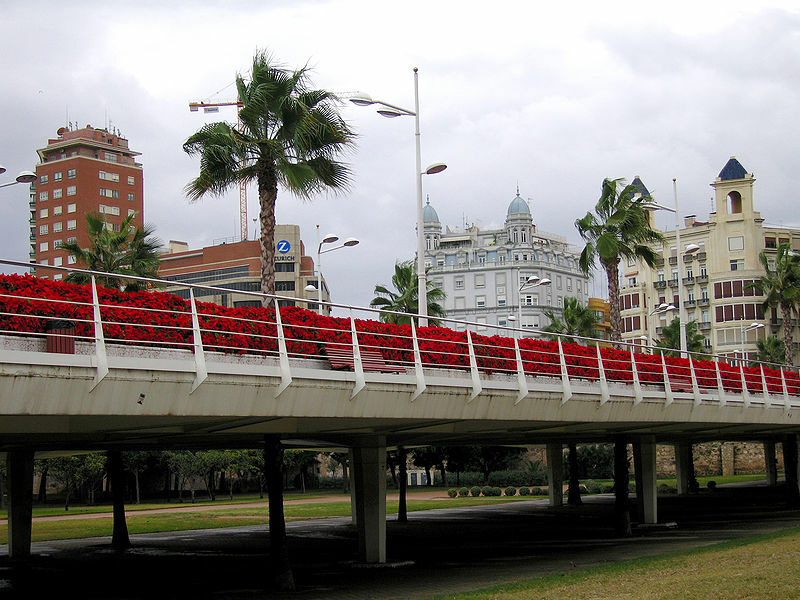 The town has that perfect combination of sandy beaches, facilities for tourists and traditional Spanish life that makes for a really pleasant vacation abroad. 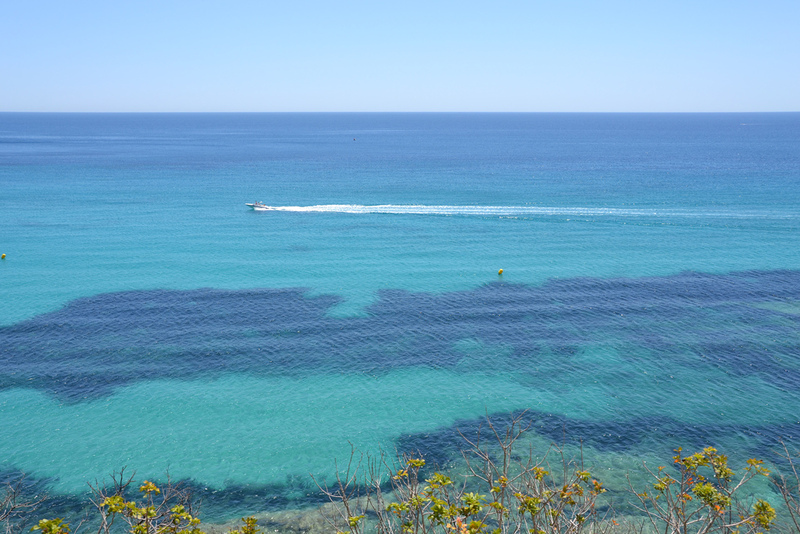 It isnt all just created in honor of the visiting tourists, but there is plenty of interesting social activities, pleasant spots to visit and lovely restaurants in Jávea to form the perfect surroundings for a summer in the sun. 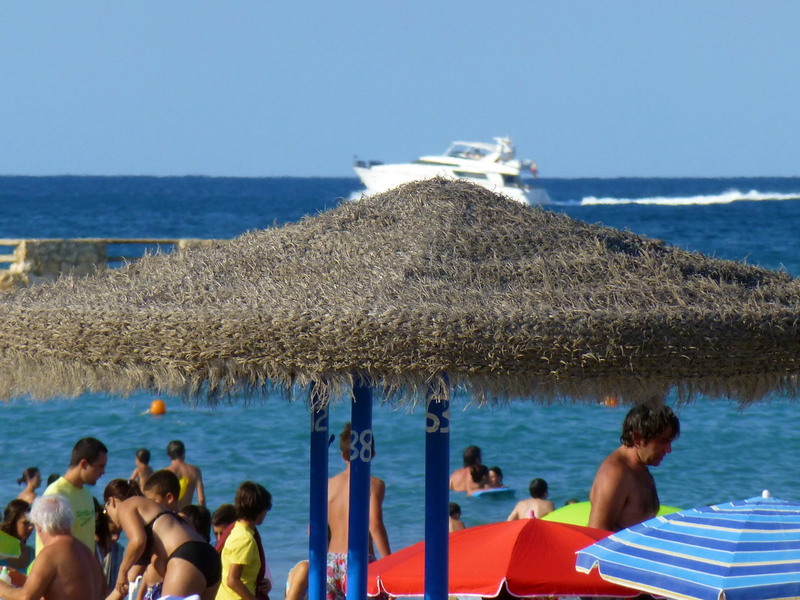 Javea is still a small enough resort that it doesnt attract the problems bigger resorts do such as crime, drunks or overcrowding but the village resort is equally big enough that the restaurants are plentiful and the Javea night life vibrant. Further, Jávea has the authentic Spanish charm that is often lost in the beach resorts and the traditional village has its own life with cultural events, crazy Spanish style fiestas all summer long and the port sports a pleasant marina with promenades and sailing trips out to sea. 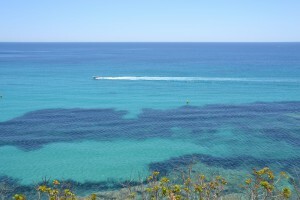 The main attraction of Jávea is still the glorious beach, the Arenal Beach of Javea, however there are plenty of activities for kids in Javea all summer long, trips available to the natural parks on Montgo and several hidden gems such as the Granadella beach and Portitxol Island to explore and admire. 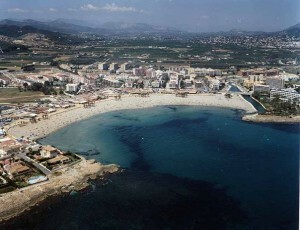 If you want just one recommendation for a holiday in Spain, it would be Jávea. 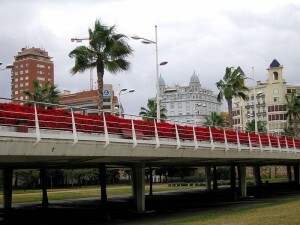 The former Americas Cup host Denia has something very stylish and classy about it. Is it the gold plated rubbish bins or the amazingly well kept marina? Who can say? On the “You know you have lived too long in Spain”-meme Moraira is featured as the place everyone forgot existed. Truth be told, it isnt the most happening place in the world, but it does have some severely appealing features, that might just make it a perfect destination for you anyway. The beaches of Spain are perfect for summer holidays in the sun! Take your pick and enjoy a fantastic vacation with your family. Having a holiday break on the Costa Blanca or nearby areas ? 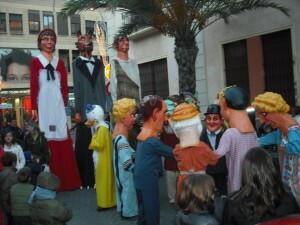 A place not to be missed is the village Gaudalest in Spain. It doesnt matter if you are enjoying a city break in Valencia, a bohemian trip round the villages of Marina Alta or a week at the beach on your Javea Vacation. Guadalest is a must visit! The ancient village houses are literally perched on top of a mountain in a truly unique way that you wont find equalled anywhere else! 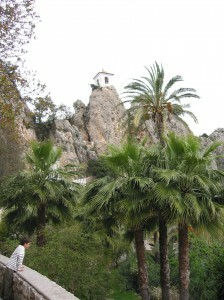 Guadalest or locally known as El Castelle de Guadalest is a small town in Valencia. The village is precariously perched on top of a granite mountain in a mountainous part of the comarca of Marina Baixa in the province of Alicante, Spain. 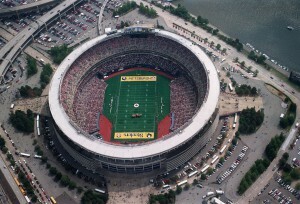 And if you have the privilege of viewing it from the top, you can see that it’s like an eagle’s nest on top of a rock. The town is nestled deep in the mountain, nearly touching the clouds. And going up there is an amazing experience in itself. The breathtaking views that you will pass will take your mind off the fact that you are climbing twisting roads upwards. Because of the rich history of Guadalest, the town is littered with historical remnants and structures like castles, churches and towers. 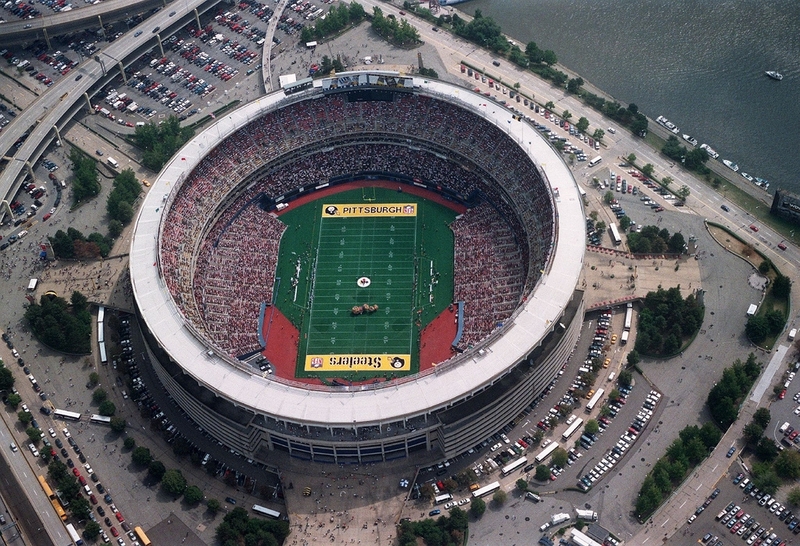 This is an ancient fortress built around the city to protect it from its conquerors and enemies. 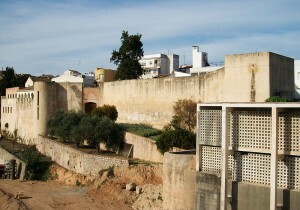 Entering the walled town is very interesting. You have to go through a tunnel which is carved through a rock. This castle was one of the defensive structures of the old city, and it was where the ancient king of the village resided. It was built around the 12th century. 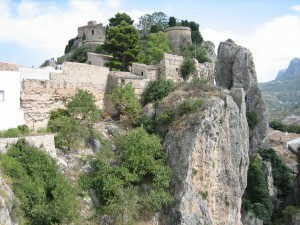 The castle is situated on top of a cliff towering over the walled town. 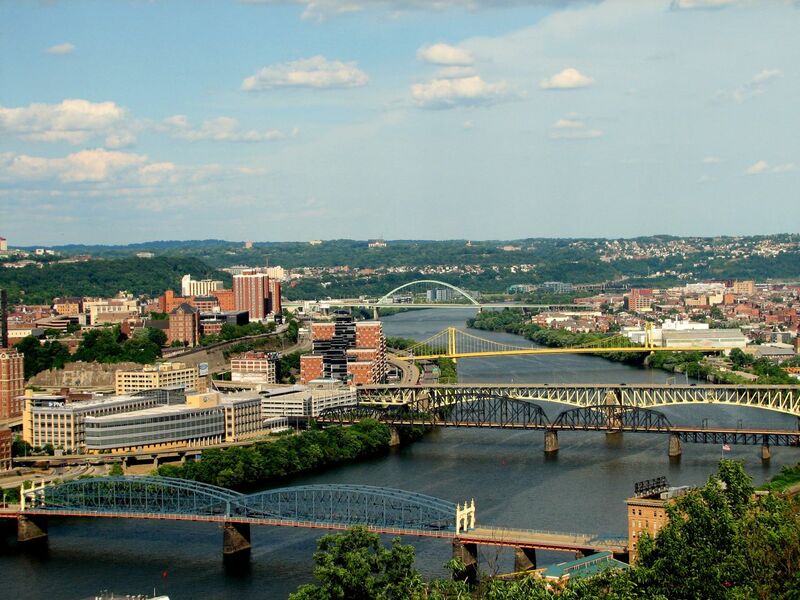 So going there will afford you a picturesque and panoramic view of the walled town and the surrounding areas. This is another castle that was part of the ancient fortification. This is the only castle in the town that was not stormed or impregnated. So, most of the structure is still intact. 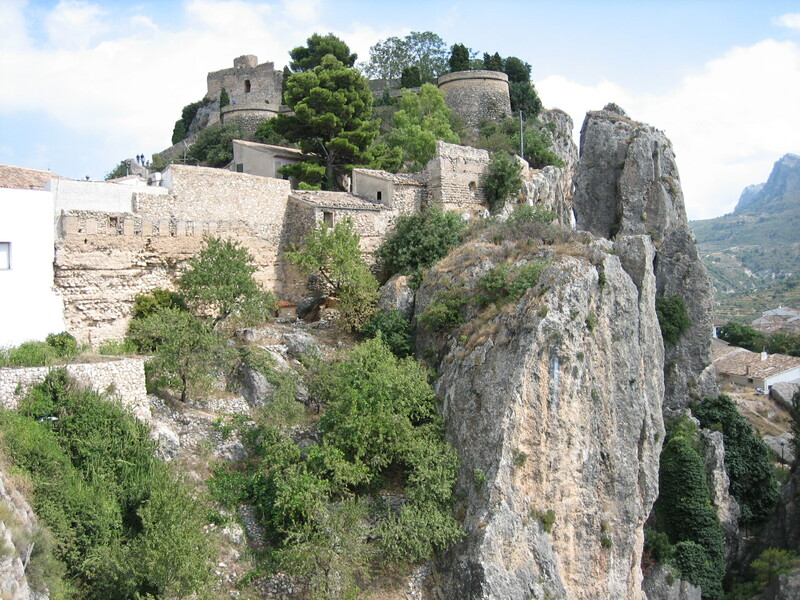 This castle is one of the many casualties of the ancient war that ravaged the old town. But the ruins is still beautiful to visit. This is the first building you will see upon entering the walled town. It is a museum that offers access to the castles. The structure of the house is interesting because one half of it is supported by rock formations while the other half is part of a chapel of an adjoining church. 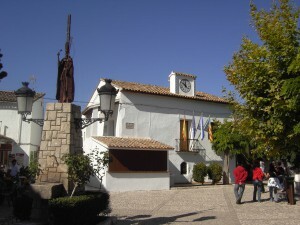 This is the church attached to the Orduña House Museum. It is rendered beautifully in Baroque style. 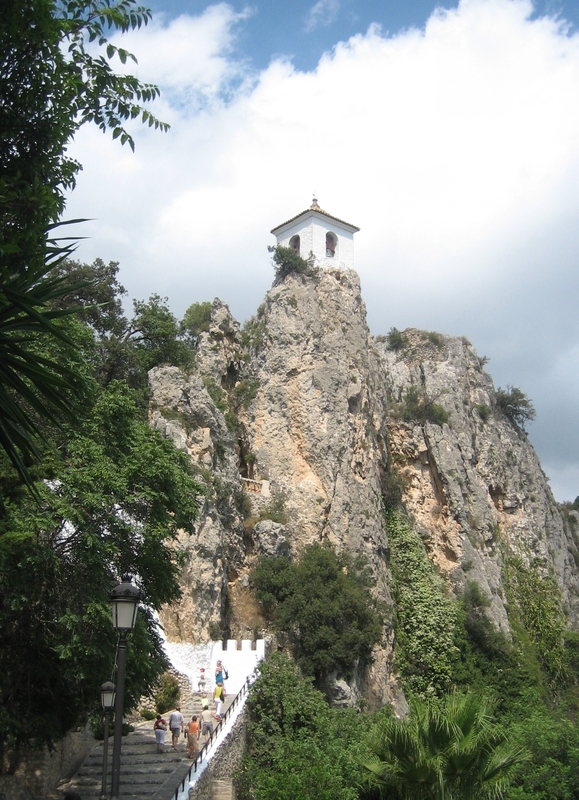 This is a towering rocky peak that shoots up from the surrounding land of the walled town. Access is difficult and only half of the cylindrical castle tower can be seen. This is one of the famous images of the town. 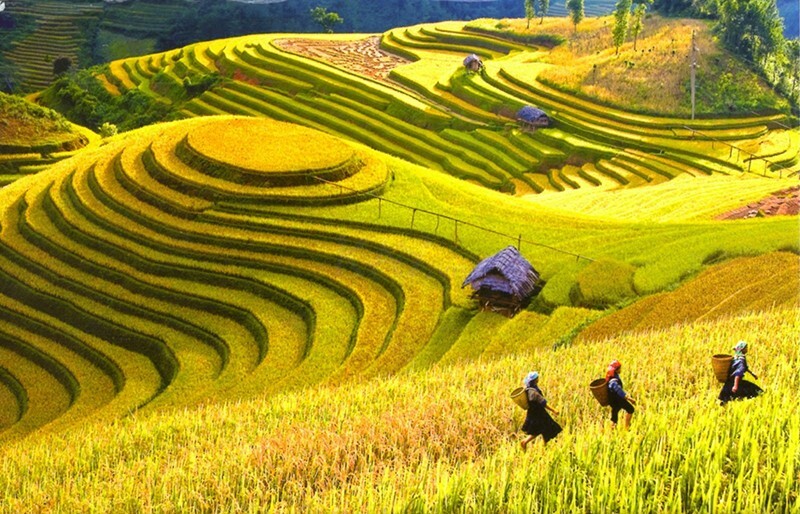 After checking all the places inside the walled town, you can visit the beautiful countryside surrounding the town. You can check out the dam that was built below one of the castles. The reservoir was built across the Guadalest River and it is a prefect place for fresh water fishing.